Higher education from a renowned university doesn’t come cheap. It is one of the most important financial decisions you will make in your career. However, if you just want to brush up or learn few new skills, then checking out some of the MOOC courses could not only be beneficial but a very effective way to get higher education for free. [themify_quote]A MOOC (Massive Open Online Course) is an online course aimed at unlimited participation and open access via the web. 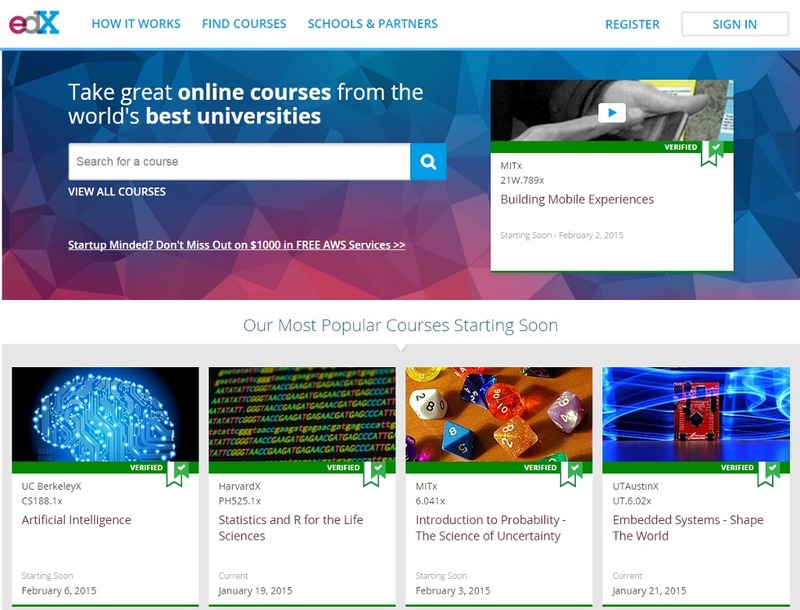 What it means is that anyone who has access to internet can access, register and learn from these Massive Online courses. Most of these courses run for 4-12 weeks or more where lectures are delivered via recorded video. At the end of the each week, participants are encouraged to submit quizzes and assignments to validate their learning. 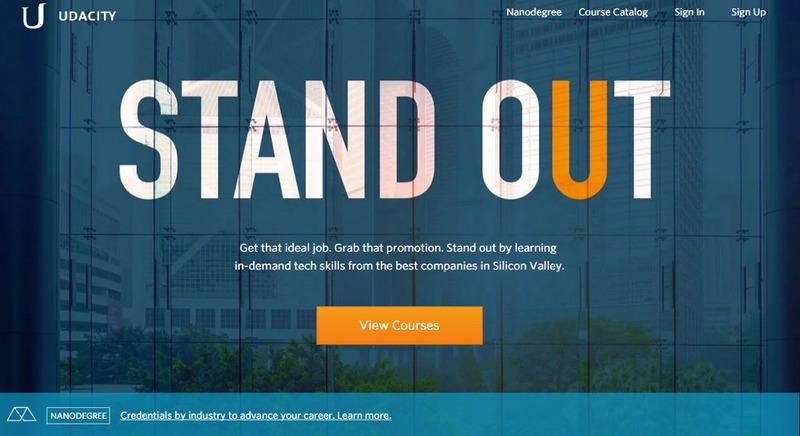 Some for-profit MOOC portals also offer certified specialization for a nominal fees. Below are my favorite 5 websites that offer many great courses for free. 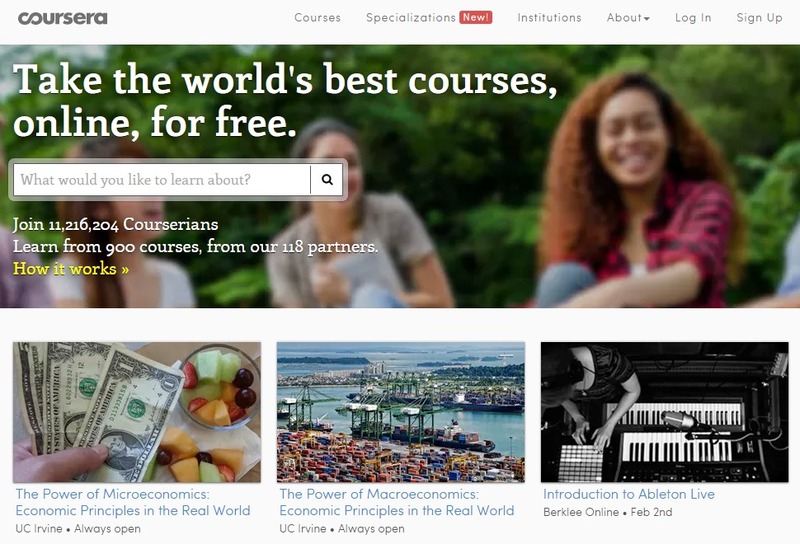 Coursera is one of the most popular MOOC out there. It has partnerships with top universities such as University of Michigan, University of Virginia, University of California, Yale University, Stanford University and many more. You may find courses on almost every popular subject. Anyone can register and get access to the course material and assignments for free. If you want to earn a Verified Certificate, then you have to pay a nominal fees. Khan Academy probably doesn’t need any introduction. Almost everyone has heard about it. It is essentially a hub of education where you can find courses for everyone and of any age. All the courses are available for Free. If you are a Parent or a teacher, you also get to track progress of your kids/students. Check out its massive database of questions for all ages. As you can see there is no shortage of skills you can learn by sparing couple of hours/week. (Stop checking Facebook and Twitter endlessly, I guess) You can sure add few good skills on your resume. What do you think? Do you have any other website that you like and would want to share with us? Any specific course you found to be interesting…Drop a note in the comment section. Don’t forget to share this post with your friends on Facebook and Twitter.